Are you planning a trip from Amsterdam to Paris but are having trouble comparing your options to decide whether to travel by train, plane or car? 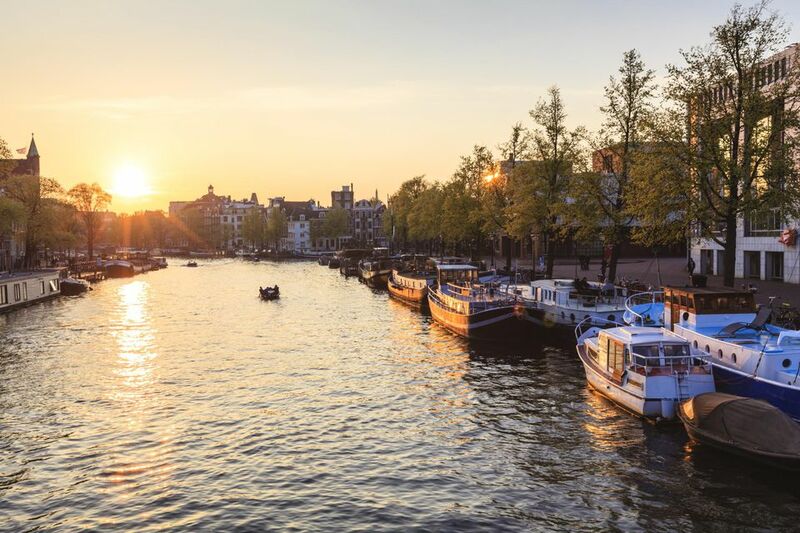 Amsterdam is around 260 miles from Paris (as the bird flies), which means that if you can afford the time, taking the train or renting a car can offer a more picturesque, and potentially more relaxing and enjoyable way of traveling. With high-speed Thalys trains servicing Paris from Amsterdam daily in under four hours, it's recommended to take that mode of transport. You can get to Paris from central Amsterdam in roughly 3.5 hours via the Thalys train network, which usually makes several stops along this route, including Brussels. Thalys trains arrive in central Paris at the Gare du Nord station, making this a stress-free option. First-class tickets are usually not much more expensive than economy and include a full meal and drink service. The advantage of choosing this mode of travel? You get to do lots of relaxed sightseeing out the window. It's longer than a flight if you count only the time you're in the air-- but when you factor in getting to the airport, security lines, and taxiing time on both sides, the train ride seems relatively fast, not to mention easier. You start out in central Paris and end up in central Amsterdam, which saves time and potentially even money. International carriers including KLM Royal Dutch Airlines, British Airways, and Air France offer daily flights from Amsterdam Schipol Airport to Roissy-Charles de Gaulle Airport and Orly Airport. Flights to Beauvais Airport located in the far outskirts of Paris may be a cheaper option, but you'll need to plan on at least an extra hour and fifteen minutes to get to central Paris. When is this the best option? When you're in a hurry, or on a tight budget, flights are likely a good choice. Flights between major cities and hub airports in Europe have become quite inexpensive in recent years, and are often more budget-friendly than the train. Compare options, though, to figure out how to make the most of both your time and your money. It can take nine hours or more to get to Paris by car, but it can be an enjoyable way to see northern Europe and its subtly changing landscapes. Expect to pay toll fees at several points throughout the trip, though. Arriving in Paris by Plane? If you're arriving in Paris by plane, you'll need to figure out how to get to the center of the city from the airports. Be sure to check out ground transport options.